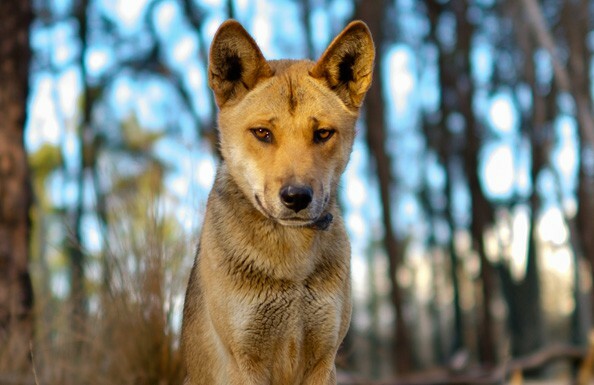 The Durong Dingo Sanctuary, owned and run by Simon Stretton since 2008, seeks to provide a small area of peace where pure dingoes are kept safe from the perils of 1080 baiting, trapping, and shooting. Simon aims to establish future breeding programmes to ensure pure genetics live on, in addition to education, awareness, and experience for the local and wider community. The Durong Dingo Sanctuary is the only dingo sanctuary of its type in Australia and is situated in the South Burnett Region of Queensland in natural bush settings. Being only 75 kilometres from Kingaroy and close to the road that leads out west, it is a suitable drop in point for tourists and grey nomad adventurers. The sanctuary is open all days 9am to 5pm, except Friday, which is by appointment only. Admission is by generous donation. For more information, contact Simon. Durong Dingo Sanctuary Qld is now very proud to offer sanctuary products at a great price! Shop our store using the nav button, the 'Shop NOW!' button in the footer or here! The mission of the sanctuary is to save and preserve all types of dingo and educate the public about the pivotal role the dingo plays in our fragile ecosystem, as it is the top order predator and facilitates in keeping in balance the lives of all wildlife. 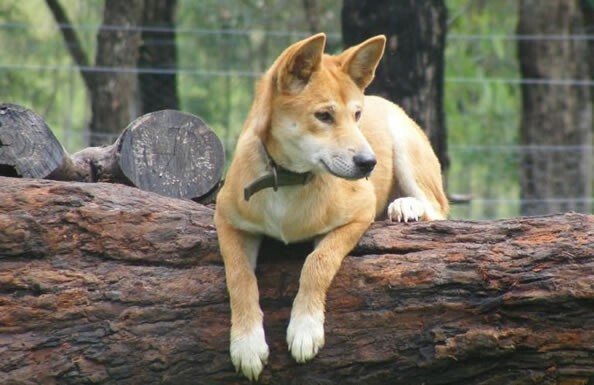 The dingo is an integral part of Australia. They are classified as Canis Dingo, an individual species, giving further validation to their arrival 18,000+ years ago. The country's natural ecological balance is highly dependent on the dingo as Australia's apex land predator. Farmers are experiencing the environment devastation by 'wild dogs' making their livelihood adversely affected. 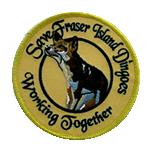 Growing wild dog (dingo cross feral dog) populations are affecting the pure strain of dingoes on the mainland as well as other native species. While the government can be commended for trying to eradicate wild dogs, the use of the 1080 baiting programme has also devastated many other native species, not the least of which is the dingo. Durong Dingo Sanctuary provides a safe place for pure dingoes to breed and live safely from being baited, trapped or shot. 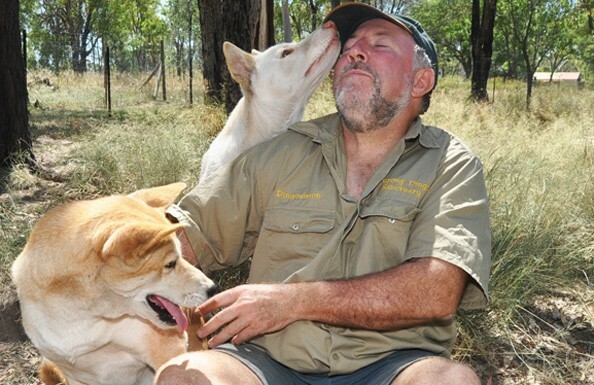 Visitors are allowed to interact with dingoes, at no extra cost, accompanied by the owner Simon Stretton. Visitors will be able to offer reward treats throughout the interaction. 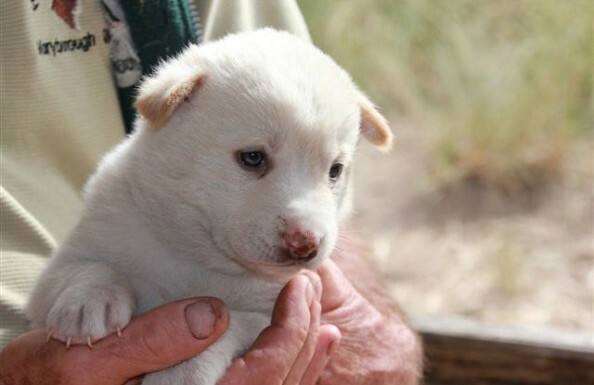 During puppy season they will be able to get up close and personal, providing the mother dingo doesn't mind. The Sanctuary caters to schools, groups and/or tours. Please contact Simon. OPENING HOURS: All days from 9am to 5pm, except Friday, which is by appointment only. All the dingoes on this site have been photographed by Dan Poole. If you wish to use any of these photos, please contact Dan for permission. 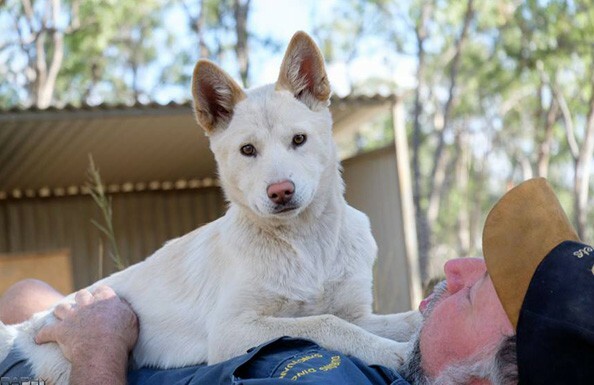 Please view the Durong Dingo Sanctuary Charity Appeal website and see if you can help! South Burnett Educational Wildlife Suport Group is a Charitable organization registered with the Australian Charities Commission. 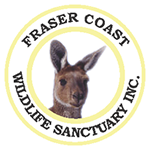 The Charity was established to support Wildlife Groups in the rescue of animals and Australian wildlife, and to promote the educational values of wildlife care and conservation. We provide support in rescue of all animals, including Australian Native wildlife, and rescue, rehabilitate and rehome farmed animals and domestic pets including birds.